In order to leverage the power of search engines and the various promotion methods and to plan your website and marketing strategy better, you must first understand the importance of keywords. Keywords are the words and phrases people use to find what they're looking for in the search engines and are in fact the foundation of every successful affiliate marketing campaign. It is highly important no only to find as many relevant keywords as possible, it is also crucial to find the right keywords, the most targeted and relevant keywords and those that have as little competition as possible. The more good keywords on your list the higher your chances to drive more qualified prospects, increase your conversions and receive higher commissions. Buy Keywords – phrases people use when they know exactly what product or service they wish to buy. They have settled on a specific product or service and are looking for a website which provides that product or service. For example: “holistic TMJ cure program ”. The right keywords are the lifeline of any affiliate business, especially if you’re promoting through pay per click. Your success with Google adwords, depends mostly on finding the right keyword list, that converts well and has little competition as possible. Google Ad Words is still one of the most effective and fastest ways to earn money as a clickbank affiliate. Despite the recent “Google slap, the classic Google Cash method and Adwords Miracle still work. 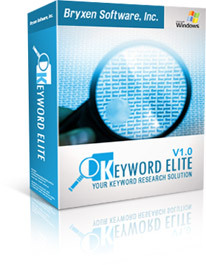 Wordtracker – This is the most reliable and popular keyword tool among professional Internet marketers. A highly sophisticated (almost revolutionary) piece of software, which allows you not only to create a 50,000 keyword list and select and grab your keywords list for your Adwords campaigns, it also allows you to analyze pay per click listings and keyword competition, and even spy on adwords competition. I have used this software myself. It was a little tricky to operate at first, but the owner Brad gives excellent support and the results so far are simply phenomenal. Copyright 2007, Higher Ways Publishing Inc. Do Not Copy! Absolutely no reproduction of this article/keyword section is permitted.